I was walking on the High Line with Geoffrey when I felt compelled to stop and capture the image of this billboard, seen above, on my camera. 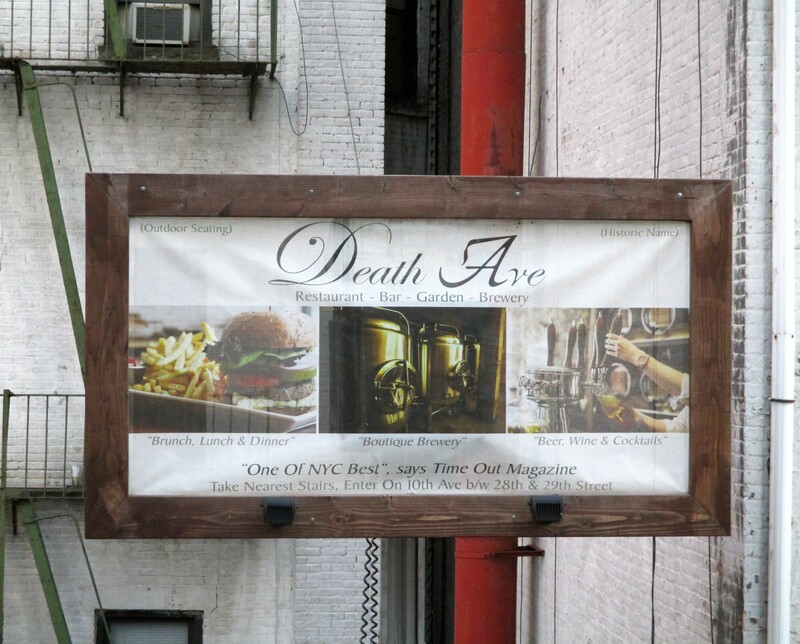 It looks like Death Avenue (best name ever) is a brewery/restaurant that (judging from the photo) likely has a good burger and lots fancy beers, if you are into that kind of thing. Check out their menu — and find out the origin of the historic restaurant’s name — at This Link! On St. Patrick’s Day (especially) we know that our readers are big fans of Beer, but just how knowledgeable are you about the amber nectars ? Do you have any idea what the world’s strongest beer is, for example? Or which president had his very own private brew house? Find out the answer to these fascinating beer facts and more, in this amazing infographic! Enjoy!